Everyone grows older, but we still don't really understand why. Now a UCLA study has uncovered a biological clock embedded in our genomes that may shed light on why our bodies age and how we can slow down the ageing process. While earlier clocks have been linked to saliva, hormones and telomeres, the new research is the first to identify an internal timepiece able to accurately gauge the age of diverse human organs, tissues and cell types. Unexpectedly, the clock also found that some parts of the anatomy, like a woman's breast tissue, age faster than the rest of the body. "To fight aging, we first need an objective way of measuring it. Pinpointing a set of biomarkers that keeps time throughout the body has been a four-year challenge. My goal in inventing this clock is to help scientists improve their understanding of what speeds up and slows down the human aging process." explained Steve Horvath, a professor of human genetics at the David Geffen School of Medicine at UCLA and of biostatistics at the UCLA Fielding School of Public Health. To create the clock, Horvath focused on methylation, a naturally occurring process that chemically alters DNA. Horvath sifted through 121 sets of data collected previously by researchers who had studied methylation in both healthy and cancerous human tissue. Gleaning information from nearly 8,000 samples of 51 types of tissue and cells taken from throughout the body, Horvath charted how age affects DNA methylation levels from pre-birth through 101 years. 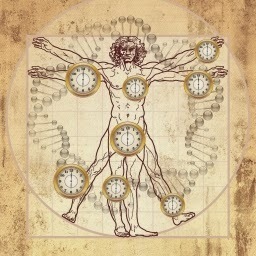 To create the clock, he zeroed in on 353 markers that change with age and are present throughout the body. Horvath tested the clock's effectiveness by comparing a tissue's biological age to its chronological age. When the clock repeatedly proved accurate, he was thrilled -- and a little stunned. "It's surprising that one could develop a clock that reliably keeps time across the human anatomy. My approach really compared apples and oranges, or in this case, very different parts of the body: the brain, heart, lungs, liver, kidney and cartilage. ", he admitted. While most samples' biological ages matched their chronological ages, others diverged significantly. For example, Horvath discovered that a woman's breast tissue ages faster than the rest of her body. "Healthy breast tissue is about two to three years older than the rest of a woman's body. If a woman has breast cancer, the healthy tissue next to the tumor is an average of 12 years older than the rest of her body." said Horvath. 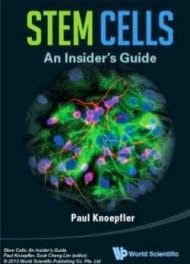 "My research shows that all stem cells are newborns,More importantly, the process of transforming a person's cells into pluripotent stem cells resets the cells' clock to zero." he said. "The big question is whether the biological clock controls a process that leads to aging. If so, the clock will become an important biomarker for studying new therapeutic approaches to keeping us young." Horvath said. "The clock's ticking rate isn't constant, it ticks much faster when we're born and growing from children into teenagers, then slows to a constant rate when we reach 20." he explained. UCLA has filed a provisional patent on Horvath's clock. His next studies will examine whether stopping the body's aging clock halts the aging process--or increases cancer risk. He'll also explore whether a similar clock exists in mice.